Use this ball to add challenge and variety to exercises. Place under the lumbar spine for support during ab curls, or between the ankles for Teaser or Hundred. Also works great as a proprioception tool. It is lightly textured so it won’t slip from sweaty hands or move unexpectedly. 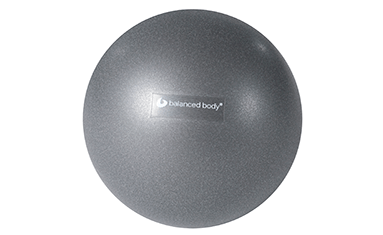 This ball comes with the Balanced Body Begin Chair, and can be purchased separately on this page. Inflate with household drinking straw or by mouth. Inflates to 8-10" (20-25cm).